Barça ensured that the league championship race will go down to a final day showdown by putting four goals past Las Palmas on Sunday. Here’s our statistical take on the trip to the Canary Islands. Barça have won six league games in a row, this one plus the previous fixtures against Villarreal, Espanyol, Osasuna, Real Madrid and Real Sociedad. It’s the second time they have strung that many victories together in the current season, and the run could be stretched to seven against Eibar at the Camp Nou next Sunday. Neymar Jr shot three times and on each occasion found the net for his first hat-trick of the season and his first ever on the road. We’ve got full details of the Brazilian’s achievement here. Luis Suárez was in similarly clinical form. The Uruguayan only had one goal attempt in the game but it resulted in Barça’s second goal, his sixth in four games against Las Palmas. Only Betis and Sporting have been on the receiving end of more Suárez goals for Barça, seven each. Suárez has scored in three consecutive games and if he finds the target against Eibar he’ll equal his best ever streak of four. 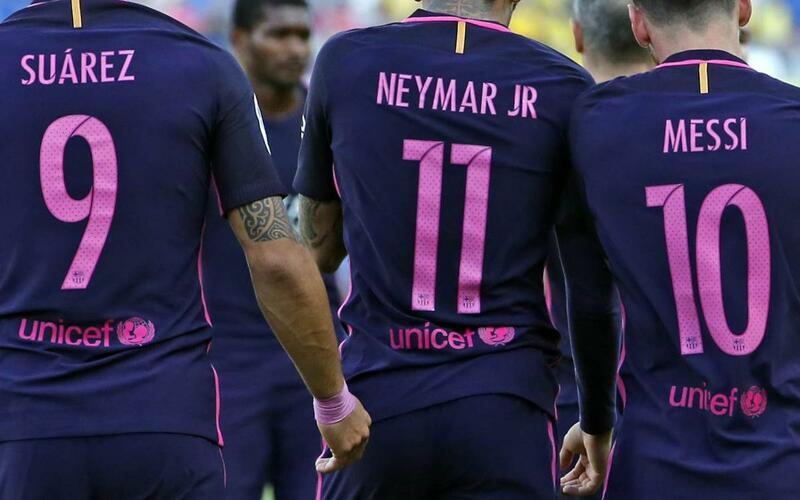 The goals are coming thick and fast this league term, and the four last night take Barça’s overall tally up to 112. Another four against Eibar would beat the club’s all-time record of 115 league goals in 2012/13 under Tito Vilanova. Marlon Santos can feel proud of his performance in his first ever full game for the first team. The Brazilian made a mighty 82 completed passes, more than of his team mates. Luis Enrique won his 100th Liga game last night (although that is also including fourteen in his days as boss of Celta). The Estadio de Gran Canaria is still the only Liga ground at which Leo Messi has never scored a goal, but the good news is that European Golden Shoe rival Das Bost of Sporting Lisbon failed to score at the weekend either. To prevent the Argentinian from winning the title for a fourth time, the Dutchman would need to score five goals against Chaves on the final weekend in Portugal. And that’s assuming that Messi himself doesn’t score against Eibar ... and you’d have to be a very brave man to bet against that!